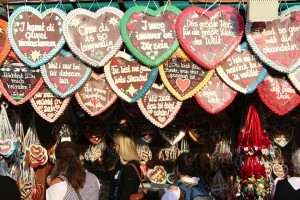 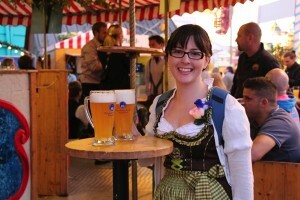 After spending the day at Dachau, we got changed back into our Bavarian costumes and headed back into the show grounds. 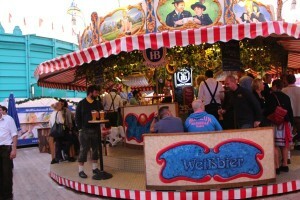 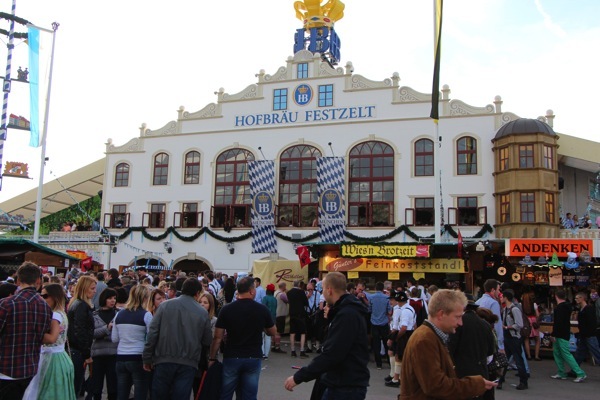 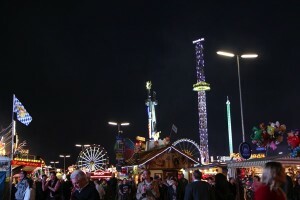 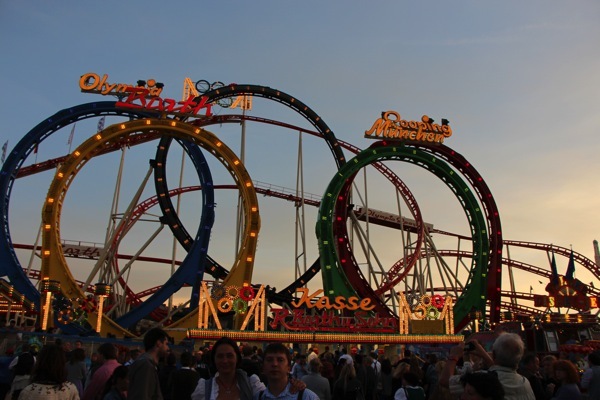 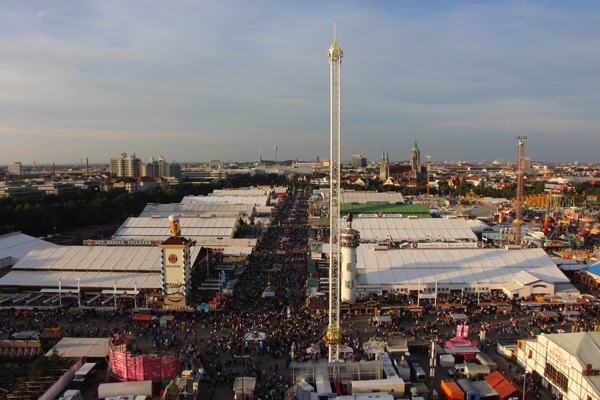 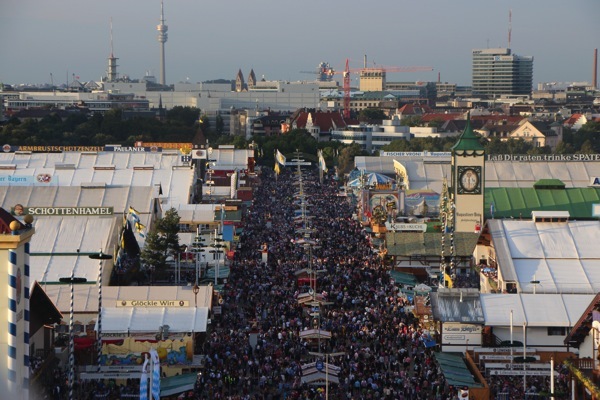 This time we decided not to go back into one of the beer halls, but instead explore the rest of Oktoberfest, which is like a massive show – roller coasters, sideshows, even beer carousels! 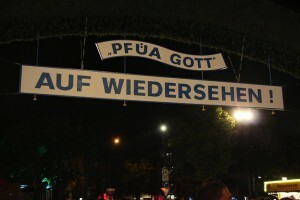 This was the outside of the Hofbrau tent that we spent the day before in. The view from the top of the ferris wheel, showing the beer tents, and the people!